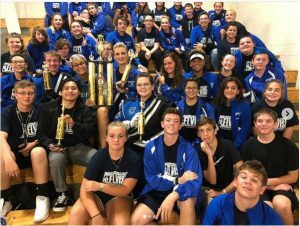 Congratulations to our Charlestown Marching Band of Pirates, who despite the venue change due to weather, dominated the Class A competition Saturday at Salem High School. Charlestown, under the direction of JoAnn Talley, brought home another FIRST PLACE trophy from Salem while also scooping awards for Best Drum Major (Lauren Shay), Best Color Guard, Best Music, and Best General Effect (winning all but one category). Outstanding work Pirates, and what a way to represent and conquer mother nature’s curve ball!! Pirate Football improved to 3-1 (overall & MSC) on Homecoming Friday night, upsetting the Class 3A #6 and two time defending conference champs from North Harrison, 34-22. Charlestown’s offense capitalized on great Pirate defensive plays in the second half to roll to a 27-15 advantage at the end of the third; then a 34-15 advantage with just under four minutes remaining in the game. The Pirate defense minimized the Cougar’s (3-1) leading rusher Jaylen Peake, as he finished the game with 155 total yards on 23 carries; however 142 of those yards where in the first half. Devin Lukes collected two huge interceptions, which stymied any attempts by North Harrison to muster momentum; while Bo Braunecker came alive in the second stanza to finish with 8 tackles (6 solo) and a sack. 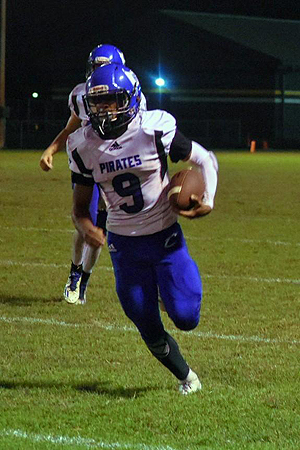 Once again, the Pirate offense got big ground production by Junior standout Marion Lukes. Frustrating the Cougar defense, Marion logged 347 yards of rushing on 28 carries; after breaking the Charlestown single game record a week prior after a 475 yard performance. Marion scored four of the five Pirate touchdowns, on runs of 21 and 6 in the first half; and 61 and 77 in the second half. Lukes goes into week five of the season with a total of 1,144 rushing yards, placing him solidly among the top five rushers in the nation. Pirate quarterback Braiden Murphy scored on a seven yard run midway in the fourth quarter; before North Harrison concluded scoring with 85 yard kickoff return by Zane Armstrong. The Pirates finished with 439 yards of offense, all on the ground; assisted by Addison Logsdon’s 81 yards on 13 carries. 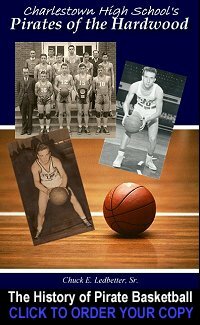 The Pirates play out of conference next Friday, when they travel to Providence (2-2) High School (Clarksville) for another chapter in the forty plus year history between the two programs. Kick off is scheduled for 7:00 pm at Murphy Stadium, to be broadcasted lived on WPMQ 99.3 FM Radio. Its Homecoming Week, Parade/Pep Rally Tonight! 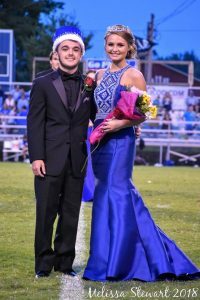 Indiana’s longest running high school football Homecoming Parade will be held Thursday (TONIGHT), September 6th beginning at 5:00 pm from the south parking lot of the Charlestown High School. 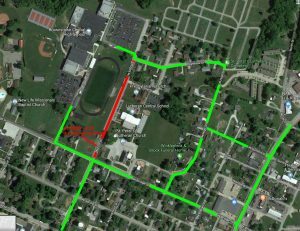 The parade route will include traveling south on Monroe from the high school, then west on Main Street before stopping on the city square for a pep rally. Additionally and traditionally, the Pirate Football parents will be selling rib eye sandwiches up on the square from 5:00-6:00 pm during the pep rally festivities like in years past. Pirate Football will host MSC football rival North Harrison Friday night in the Bone Yard with a 7:00 pm kick-off and annual Homecoming ceremony taking place during halftime of the game. HAPPY HOMECOMING PIRATE NATION! Charlestown Pirate Football (2-1 & 2-1 MSC) traveled to rival Clarksville Friday evening; with hopes of hanging a 12th straight varsity football victory on the Generals and make the all time series 27-22….mission accomplished. Even though mother nature made Pirate Nation wait til her pregame light show was complete and put away; Junior Marion Lukes and the Pirates wasted no time when the game clock started. Charlestown cruised to a 41-12 victory, leading 28-6 at the midway point of the evening. Lukes was simply unstoppable and virtually ran the ball at will finishing the game with 475 yards on eighteen carries and five of the Pirates’ touchdowns; 320 yards on just ten carries during the first half alone. Lukes’ total against the Generals set a new single game rushing record which had stood since Ryan Roederer’s 350 yard performance against Brownstown in 2000. Lukes scored touchdowns on runs of 55, 49, 86, 51 and 77 yards; similar to the pregame lightning. The Pirates also got scoring courtesy of a Devin Lukes touchdown, a Bo Braunecker two point conversion, and three Andrew Mattingly point afters. The Pirate Defense was led by Sophomore Deke Brown, named the Defensive Player of the Game by The Pirate Network Broadcast on WPMQ 99.3 FM Radio. “Marion really ran the ball well, looked like he was on another level this evening”, stated Pirate Head Coach Jason Hawkins of his Junior Running back’s performance. The Pirates are back in action next Friday at home in the Bone Yard, against the defending MSC champs from North Harrison; the Cougars (3-0), who dispatched Corydon 42-7 Friday night. Show your Pirate Football Pride and the distinction of having a player under your roof. 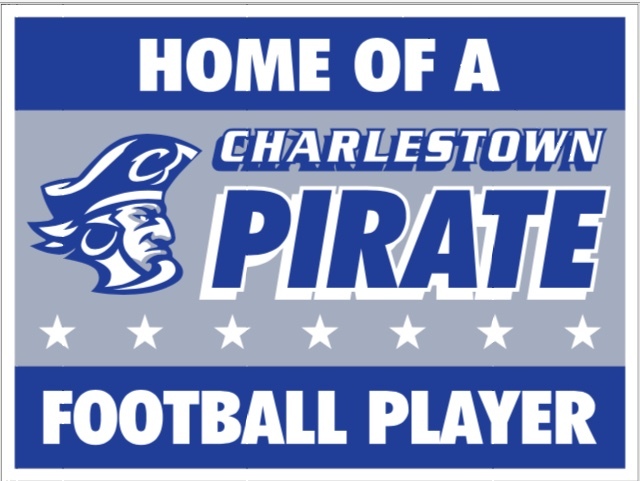 New “Home of Pirate Football Player” yard signs will be available for all CHS High School, CMS Middle School, and Charlestown Little Pirate youth player families this Wednesday from 5:30-6:30 pm, in front of the high school football field entrance. These are double sided yard signs (with the adjacent design) at a cost of $10.00 each. These signs have no dates or years on them so they’ll be good as long as the player continues to play for years to come. 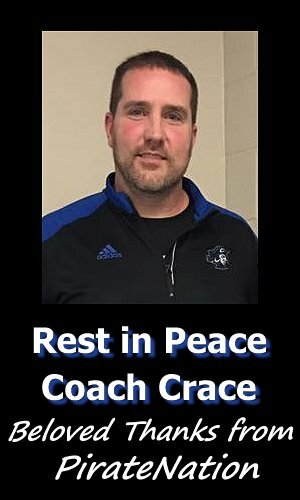 Go Pirate Football at all levels in Charlestown! Pirate Nation traveling to Brownstown Central High School this evening, Friday, August 24th, for the huge MSC football clash between the Pirates and the Braves; should be aware that Elm Street (along the visitor side of the football field and the easiest access to Brownstown High School’s north parking lot) will be closed from 6:30 pm thru game’s end. 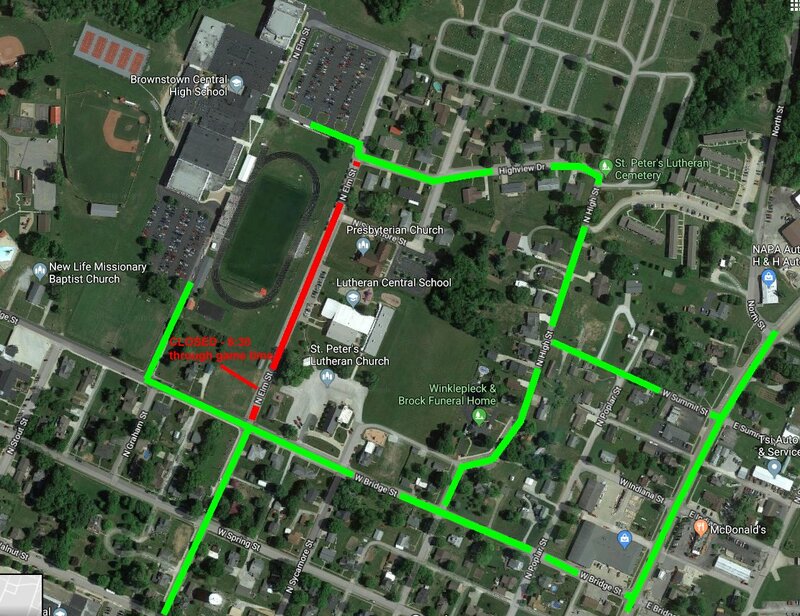 Pirate Nation is encouraged to park in the North Parking Lot at Brownstown HS, using the routes highlighted in green on the adjacent map (including using High Street to Highview Drive). According to INDOT, no construction work closures or restrictions exist between Brownstown and Charlestown via I-65 North to Mile Marker 41 (Uniontown), then Indiana 250 west. The route from I-65 to Seymour and west on US 50 to Brownstown is also reporting construction and restriction free. However as a reminder, construction continues on I-65 between Sellersburg and Memphis; and for those who like to take Indiana 135 north from Salem to Brownstown, there is a bridge construction lane restriction on that route. 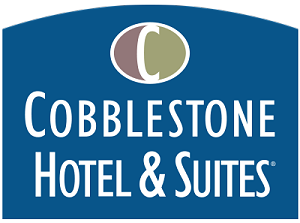 If you can’t make it to tonight’s pivotal game; CHS Student Radio, WPMQ 99.3 FM will broadcast the game live on local radio and via internet stream….find the link at http://piratepride.blue/wpmq. Kick-off is scheduled for 7:00 pm. 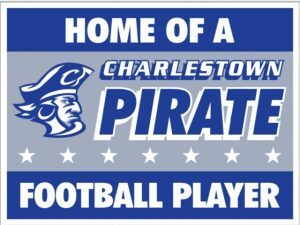 The Charlestown Pirate Pride Booster Club encourages all of Pirate Nation to vote for Charlestown Pirate Football RB Marion Lukes for this week’s Touchdown Friday Night Player of the Week. Lukes was nominated after his 249 rushing yard-three touchdown performance in last Friday’s 32-14 victory over arch-rival Silver Creek. 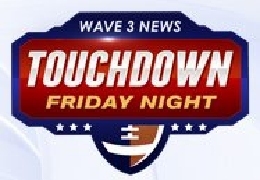 Vote by logging on to the www.wave3.com sports page at http://www.wave3.com/category/57726/touchdown-friday-night. Marion is competing against four other local high school football players, and ALL VOTING MUST BE COMPLETED BEFORE NOON THURSDAY! 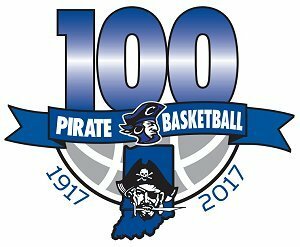 Show the Louisville metro area what Pirate Pride means, take a second and vote for Marion Lukes, as well as encourage your friends and family to do the same! GO PIRATES!!!! !